WEST WARWICK, R.I.–(BUSINESS WIRE)–Lighting Science®, renowned for its suite of human-centric LED lighting solutions, announces the launch of the Good Day&Night™ Troffers, which combine the patented GoodDay® and GoodNight® LED engineered spectrum technologies into one multi-dimensional circadian lighting product. The 2×2 and 2×4 troffers deliver biological benefits with high-quality light for peak visual performance, while providing the ability to control and personalize the spectrum of lighting – truly delivering the right light at the right time. The Good Day&Night Troffers enable users to transition light according to the natural progression of the sun, helping to synchronize the body’s circadian rhythm. Users can easily switch between the focus-enhancing GoodDay and the blue-depleted GoodNight settings. 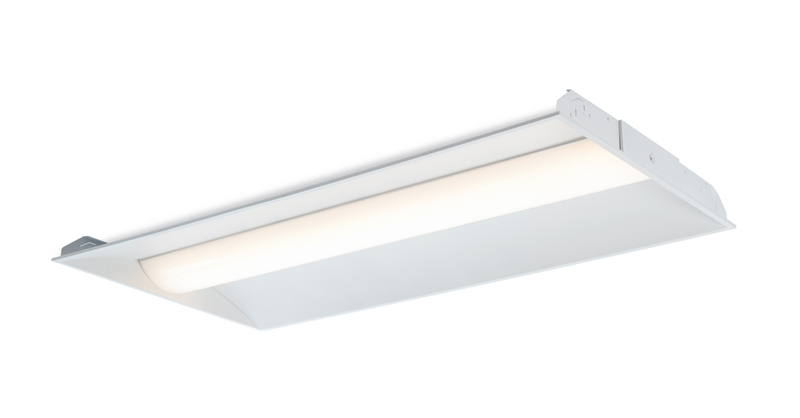 Lighting Science’s patented engineered spectra surpass superficial color tuning in circadian impact and quality of light, providing 90+ CRI and an R9 value >50 across the 2300-5000 CCT range. The troffers deliver 2600 lumens (2×2) and 5200 lumens (2×4) in the GoodDay mode. Light settings can be easily adjusted with a standard wall switch or the Lighting Science Wireless Switch for full multi-spectrum and dimming control. Lighting Science’s Good Day&Night portfolio supports the natural sleep-wake cycle, with numerous applications and benefits based on the indoor lives we often lead. For example, in senior living, research has shown that appropriately timed light exposure for Alzheimer’s and dementia patients results in increased sleep and decreased depression and agitation. Additional applications for circadian lighting may include hospital patient rooms, classrooms, offices, spa/wellness centers and training facilities. The Good Day&Night Troffers are available for purchase by contacting Sales at 877-999-5742 or by visiting www.lsgc.com. Lighting Science is a global leader in innovative LED lighting solutions that designs, manufactures and brings to market advanced, intelligent products for consumer and commercial applications. Lighting Science is creating biological, horticultural and urban lighting solutions with products such as GoodNight®, GoodDay®, and Sleepy Baby® LED bulbs and the groundbreaking horticulture light, the GroBar™. Lighting Science has won numerous awards, including several Edison Awards, Sapphire Awards, Business Intelligence Group (BIG) Sustainability Awards and an IES Illumination Award. For their patented technology products, Lighting Science won Popular Science Magazine’s 2016 Best of What’s New Award, Architect’s Newspaper Best Products of 2016, and Architectural Record 2016 Product of the Year. Lighting Science holds more than 400 patents and is experimenting with new uses for LEDs focused on human-centric solutions. Lighting Science is headquartered in Rhode Island, with research and development facilities in Florida. Learn more at www.lsgc.com and join us on Facebook, Twitter, LinkedIn and Instagram.